Nessa semana, terminei de tricotar as mangas do casaco Chickadee. Foi um pouco diferente dos casacos top-down de bebê que havia tricotado antes, nos quais os pontos das mangas ficavam em espera até que o corpo do casaco fosse terminado. No Chickadee não se deixa os pontos das mangas em espera: todo o casaco é deixado em espera na longa agulha circular enquanto tricotamos as mangas com outras agulhas (eu usei agulhas de pontas duplas). Resulta que as mangas são tricotadas já unidas à pala do casaco, o que para mim foi uma novidade. Para montar os pontos adicionais da cava do braço usei pela primeira vez o Cable Cast-On. Adorei o resultado! Os pontos montados criam uma borda firme e bem acabada. Para aprender eu usei este vídeo e o tutorial de Cable Cast-on do Purl Bee pois ele explica como montar os pontos no meio do tricô. Nesse caso devemos virar a peça no lado avesso antes de iniciar a montagem dos pontos. Já fui perguntada se. para tricotar com duas cores, devemos arrematar os pontos antes de mudar a cor do fio. É muito mais simples: apenas soltamos o fio da cor que não iremos mais tricotar e começamos a tricotar com a outra cor. Ao usar uma nova cor pela primeira vez, eu gosto de amarrar o fio da nova cor ao fio do último ponto tricotado com um nó frouxo. Esse nó será desmanchado mais tarde e as pontas do fio serão embutidas. A fotografia acima o momento em que iria começar a tricotar com o fio roxo. Eu o amarrei ao fio branco e comecei a tricotar com o fio roxo. A fotografia abaixo mostra como ficou depois que tricotei uma das quatro agulhas de pontas duplas. 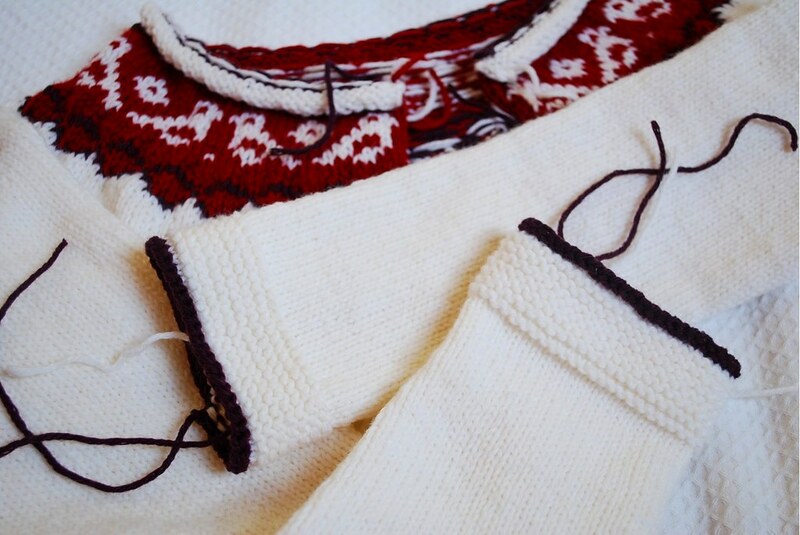 This week, I’ve finished the sleeves of the Chickadee sweater. 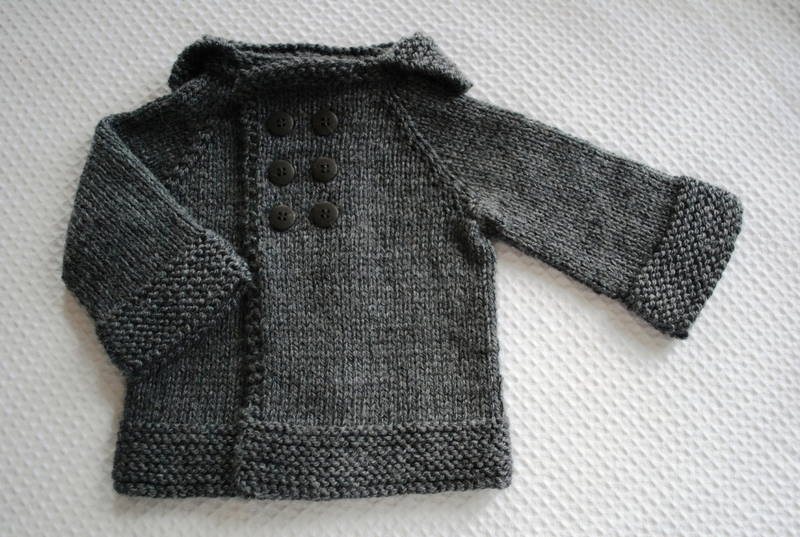 It was a little bit different from other top-down baby sweaters I’ve knit in which the stitches of the sleeves had to be put on hold until the body of the sweater was finished. 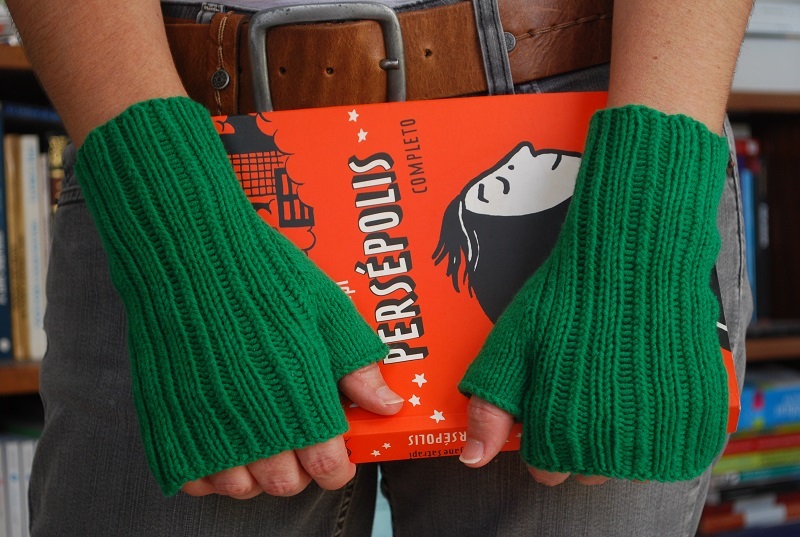 When knitting Chickadee, we won’t put the stitches of the sleeves on hold. 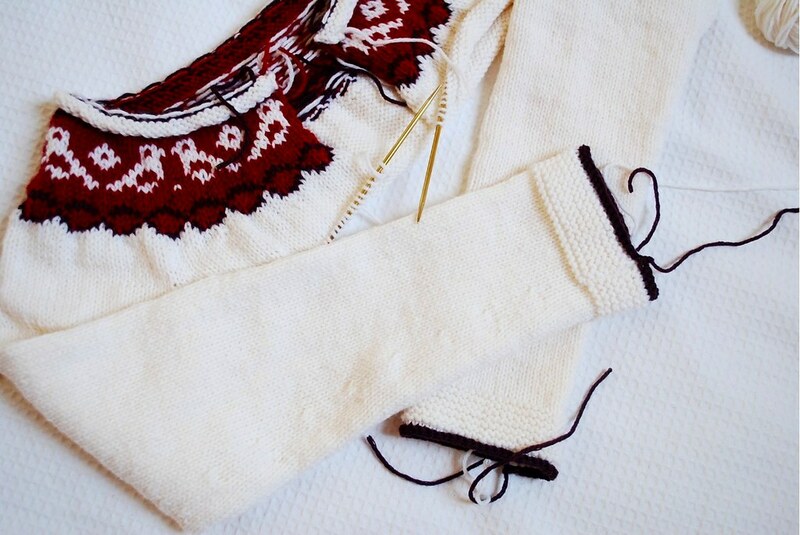 We put the whole sweater on hold at the long circular needle, while we knit the sleeve with different knitting needles (I used double pointed needles). It turns out that the sleeves are knitted united to the yoke f the sweater and it was new for me. To cast on the aditional stitches of the armholes I used the Cable Cast-On for the first time. I loved the result! 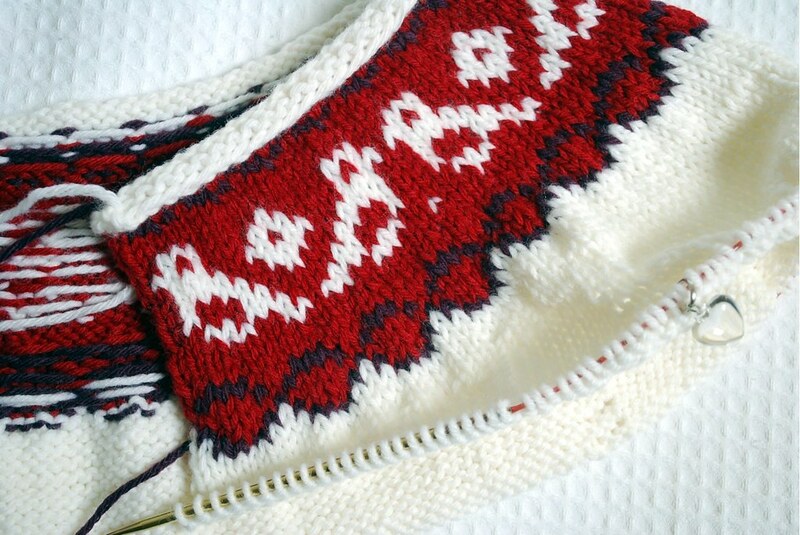 The cast-on stitches form a firm border, well finished. To learn the technique I used this video and the Cable Cast-on Tutorial from Purl Bee because it explains how to cast on the stitches in the middle of the knitting. In this case we should turn the work to the wrong side before starting. 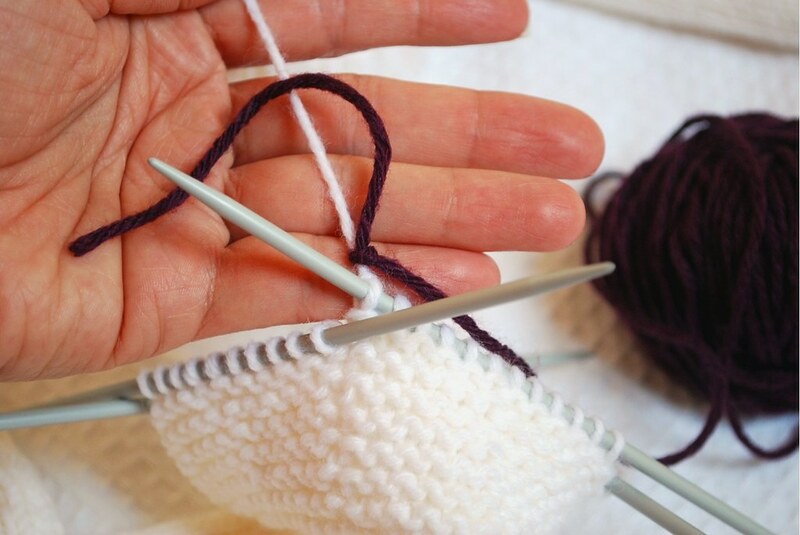 I’ve been asked before whether, in order to knit with two colors, we should cast off the stitches before changing the color of the yarn. It’s much simpler: we just let go of the yarn we won’t knit anymore and start knitting with the new color. When using the new color for the first time I like to knot the new yarn to the yarn of the last stitch worked with a loose knot. Later this knot will be undone and the ends will be weaved. 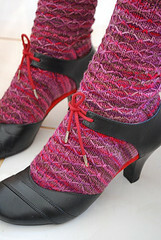 The photograph above shows the moment I would start knitting with the purple yarn. I tied it to the white yarn and started knitting with the purple yarn. 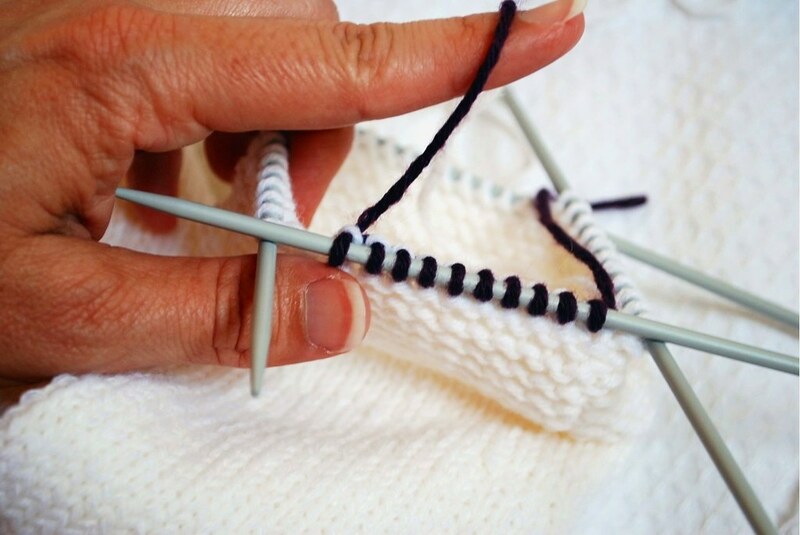 The photograph below shows how it looks like after knitting the first of the four double pointed needles. 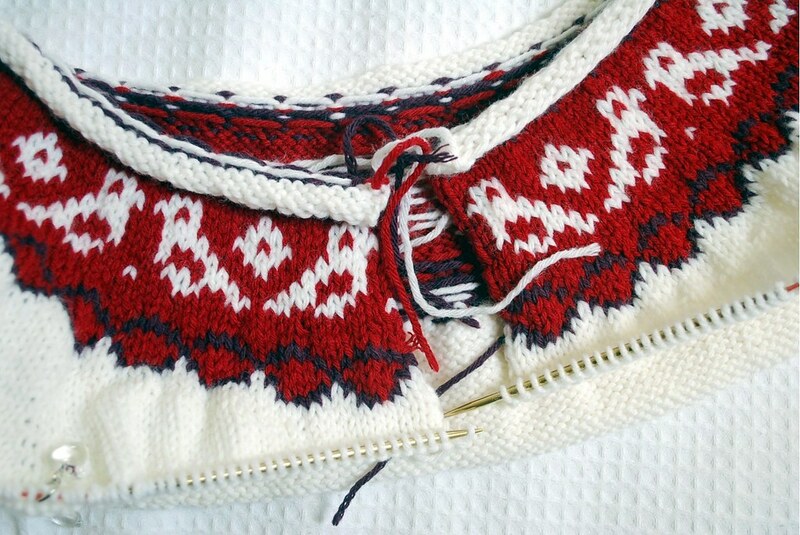 Atualmente estou tricotando o casaco Chickadee desenhado pela Ysolda e agora terminei de tricotar a pala. Esse casaco é tricotado de cima para baixo mas aberto, ou seja, tricota-se o lado direito, vira-se o trabalho e então tricota-se o lado avesso. Foi a primeira vez que tricotei em jacquard pelo lado avesso. 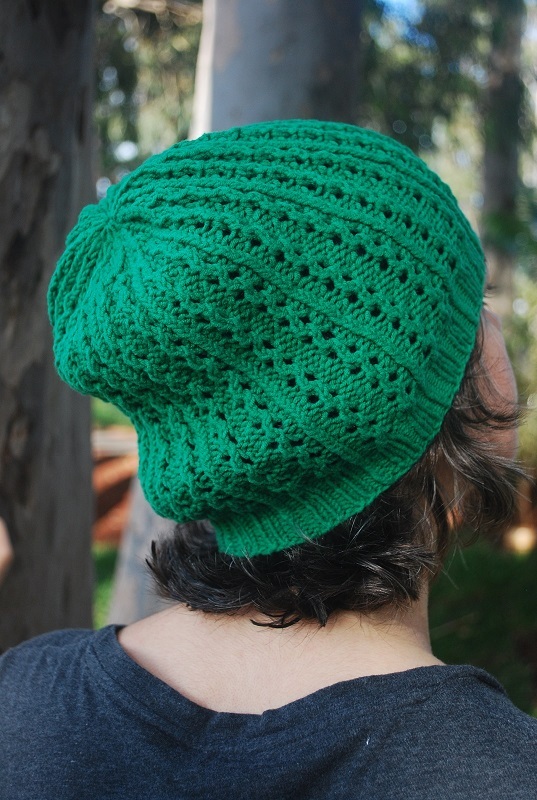 Como só havia tricotado gorros em jacquard usando agulha circular sempre tricotava olhando o lado direito da peça. O motivo em jacquard ficou um pouco repuxado em algumas partes. Não irei desmanchar, decidi mantê-lo assim mesmo. Agora já é hora de tricotar as mangas! 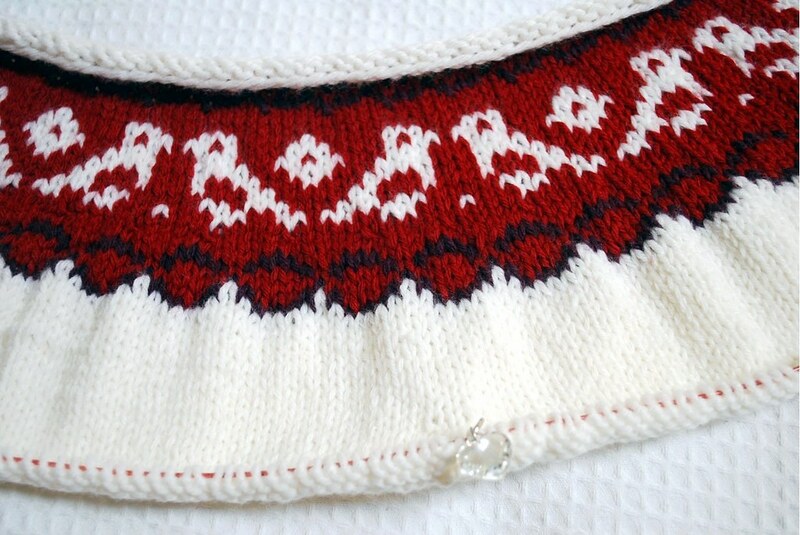 I’m currently knitting the Chickadee sweater designed by Ysolda and now I’ve finished the yoke. This sweater is knitted top down but flat, that is, we knit the right side, we turn the work and then we knit the wrong side. It’s the first time I do the stranding on the wrong side. 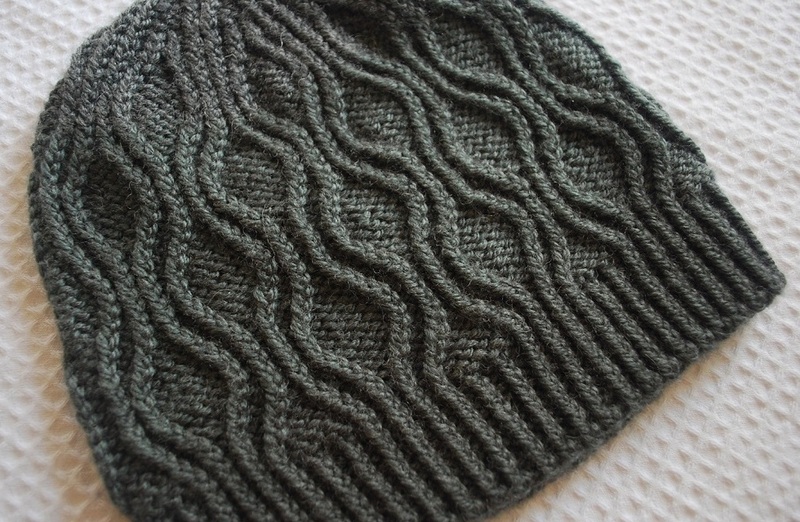 I’ve only knitted stranding hats using circular needles so I’ve always knitted looking at the right side of the work. 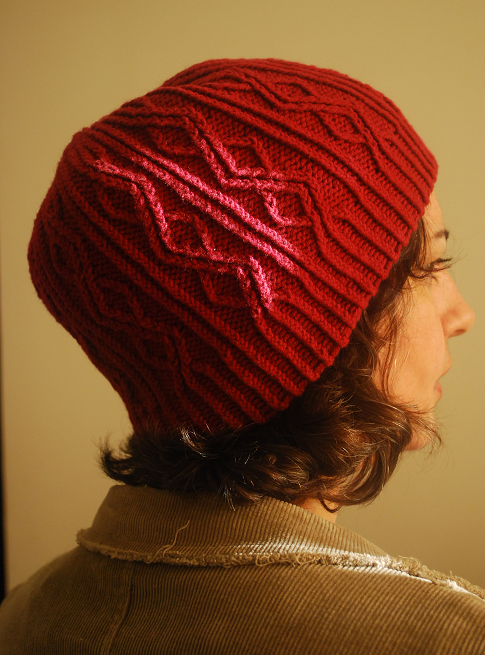 The colorwork motif turned out puckered at some areas. I won’t frog, I’ve decided to keep it that way. Now it’s time do knit the sleeves!